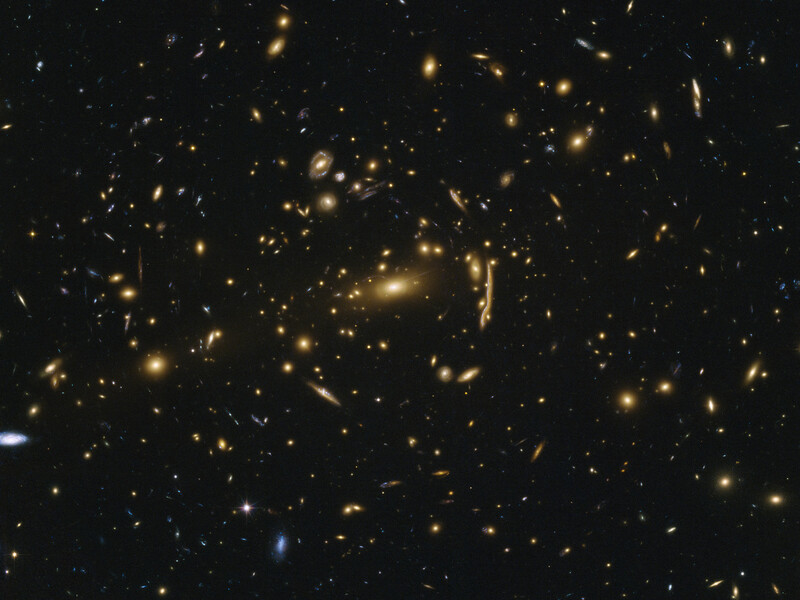 This image shows the galaxy cluster MACSJ1206.2-0847. The cluster is so far away, it took the light from the cluster more than 4.5 billion years to reach Earth. 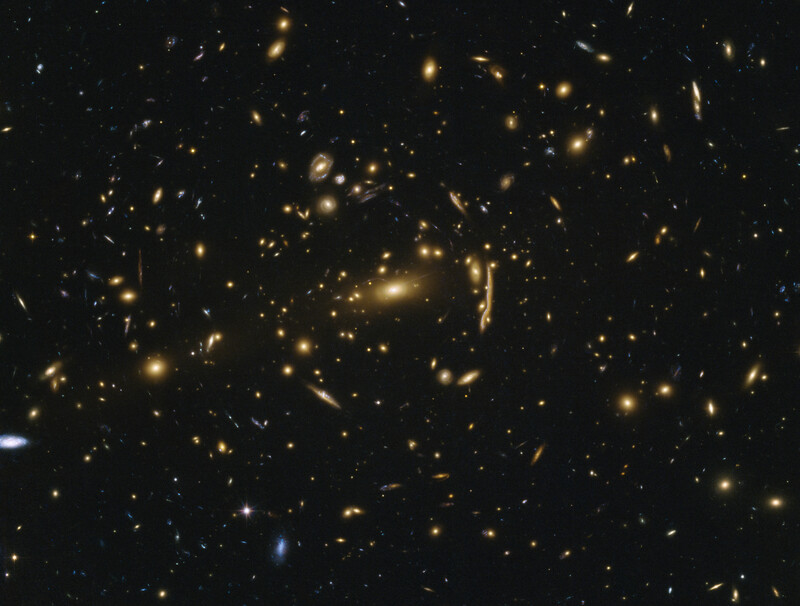 But the cluster itself is not even the most distant object in this image. 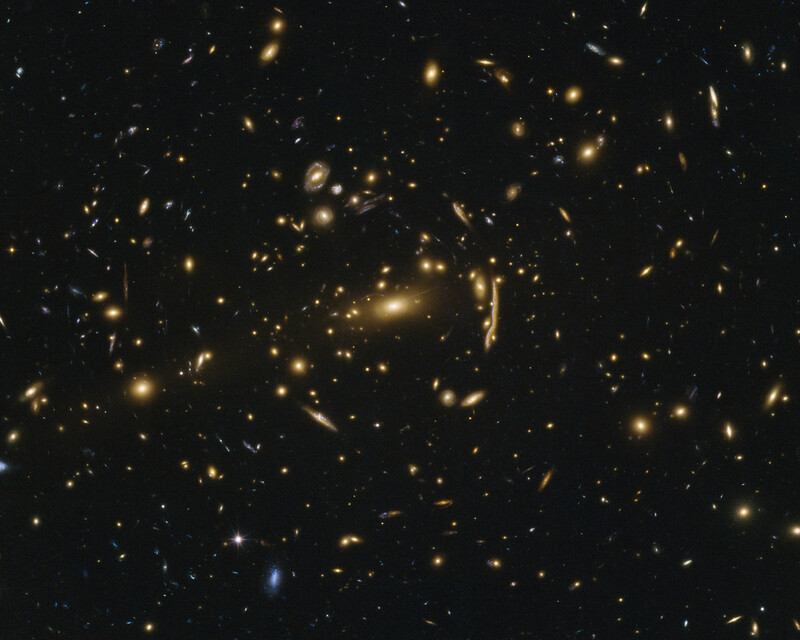 Light from even more distant, high-redshift galaxies arrives at Earth, having been distorted by the gigantic gravitational influence of the intervening cluster. Objects, otherwise faint and tiny, get brighter and are magnified. 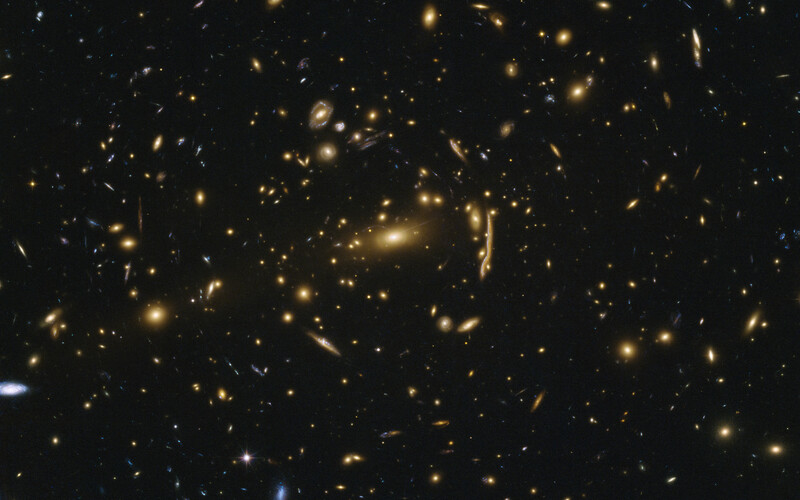 Sometimes gravitational lensing can even produce multiple images of the object as light is bent in different directions around the foreground cluster. One of these galaxies is the Cosmic Snake — clearly visible as a stretched object to the right of the central galaxy. This image of the Cosmic Snake is actually composed by four elongated and stretched images of the southern half of the source galaxy. Position (Dec): -8° 48' 6.22"